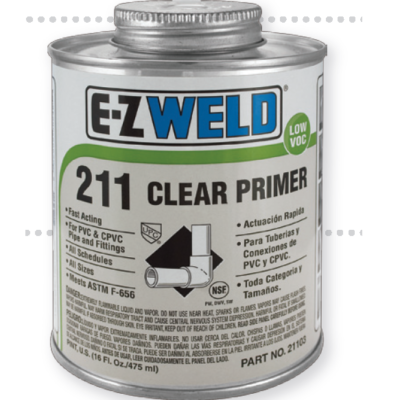 This primer is a special blend of fast acting solvents formulated to soften and swell PVC and CPVC Pipes and Fittings prior to cementing. Primer penetrates the surface of the pipe and the fitting to be joined and will provide a stronger joint. It is highly recommended that primer should be used on the installation of larger than 3” diameter pipes and fittings. 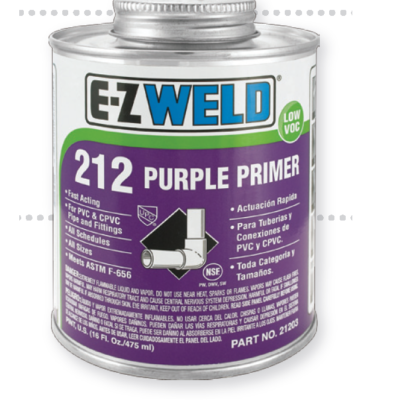 Purple Primer is a special blend of fast acting solvents formulated to soften and swell PVC and CPVC Pipes and Fittings prior to cementing. 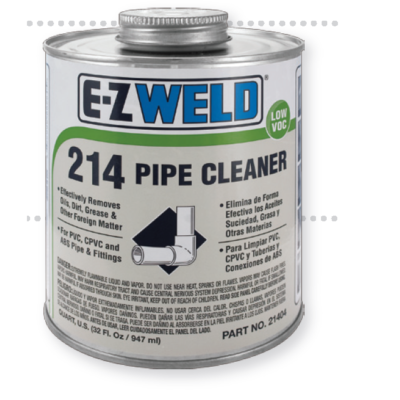 The primer penetrates the surface of the pipe and the fitting to be joined and will provide a stronger joint. It is highly recommended that primer should be used on the installation of larger than 3” diameter pipes and fittings. 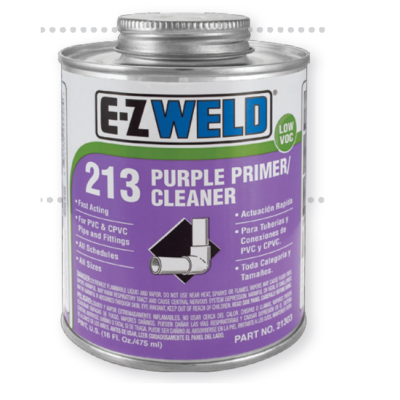 Primer Cleaner is a product that both cleans dirt, oils, and greases from the pipe and fitting surfaces as well as softens and swells the joints prior to cementing. Its use provides for stronger joints. It is highly recommended for the installation of pipe and fittings over 3” diameter.